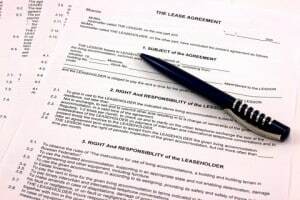 Many of us think of a lease agreement as the ultimate weapon, wielded only when there’s a legal dispute. The rest of the time it sits dormant in a file drawer. But a lease needs to do more than that. Fortunately, few of us will have to put our lease to the ultimate test. Yet all of us need it as a day-to-day guide to managing the rental property. Tenants need it, too, as a daily reminder of what is expected of them. If you are having problems with your tenants, than your lease may not be working. That’s why it’s important to be finicky about how your lease agreement reads. The more specific the lease is to your rental property, the more credibility it has with your tenants. Using generic lease forms that set out the rent requirements and barely more than that leaves everyone in the dark. That can generate conflicts. Likewise, a lease with too much legal mumbo jumbo is like having no lease at all. If the tenant can’t understand it, they are more likely to ignore it. View the lease less as a legal document, and more as a road map for the relationship with the tenant. It will be a more effective tool if you hold your tenants to the rules, but also meet your own responsibilities, like quick response to a repair request or noise complaint. Be prepared to enforce any policy stated in the lease. Don’t use tough language if you don’t plan to enforce it — like threatening to evict a tenant for getting a pet, then turning away when it happens. Otherwise, the tenant will soon call your bluff, and problems will spiral. Similarly, don’t accuse tenants of breaking the lease when they do something that’s not in there. Stay in your tenant’s mind during the term of the lease. Something as simple as a rent receipt or email can remind tenants they are under a lease agreement. Make sure your lease agreement is something you can live with — and it will be much easier for your tenants to live with it, too.